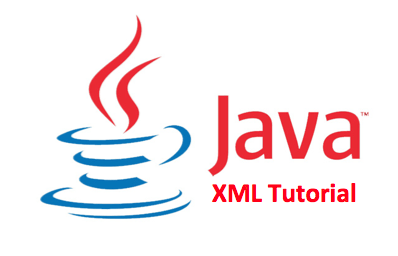 Most developers developing Enterprise Applications need to know how to Parse XML file in JAVA. These applications may use xml files for data representation, data transfer and messaging. JAVA currently has good support for XML and this is embedded in the JAVA API (it is not an external API), with the JAVA API you can create, read, write and modify xml files. XML is universally accepted, an like JAVA it is platform dependent, as such XML can be used to transfer data between two different applications written in different languages e.g. Transferring data between an application written in C++ and one written in JAVA. XML file. All XML parsing related classes and methods are inside JAXP. Though DOM related code comes from org.w3c.dom package. All XML parsers are in javax.xml.parsers package. we will see example of parsing xml files using JAXP API in next section. In this section we will see how to parse xml files or how to read xml file using DOM XML Parser. DOM is quick and easy way to parse xml files in Java and if you are doing it for testing its way to go. Only thing to concern is that XML files which need to be parsed must not be too large. You can also create xml file by using DOM parser and DocumentFactory Class in Java. Here is xml file Stocks.xml which contains some stocks and there price, quantity we will use this in our xml parsing example in Java. That’s all on xml parsing in java for now. We have seen how to read and write xml file in Java and now familiar with both DOM and SAX Parser in java. We will see more on xml on coming days like reading xml elements via xpath and using xml beans etc. let me know if you have any doubt on xml parsing example or in general with xml and Java.